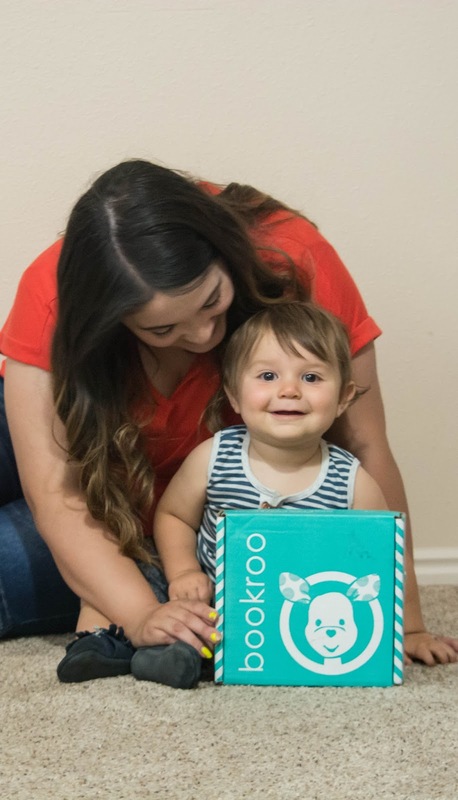 Remember how I posted several months ago about the importance of reading to your child and us striving to read mason a book every night, well I decided to tell you about a company called, "Bookroo", that I recently found out about to share you their company, their message, and to keep sharing the importance of reading to our child. 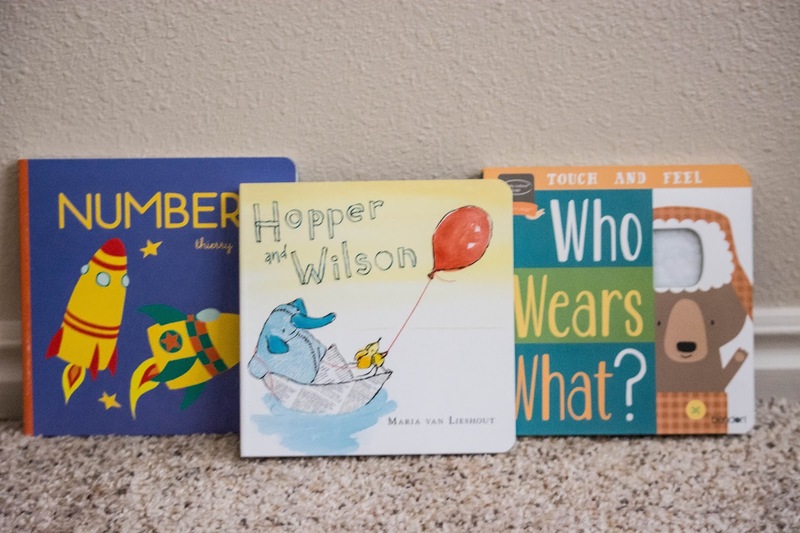 Bookroo is a monthly children's book subscription Club for kids. They are adorably wrapped with fun wrapping prints and filled with different books designed specially for you little(s). You pick what type of book fits your child, either Board Books (for ages 0-2); includes 3 books per box or Picture Books (for ages 2-6); includes 2 books per box. You can also choose what your subscription box to come, from monthly, 3 months, 6 months, or 12 months. These books are truly unique, you wont find them at stores or online, and that's one of the reasons why I love it so much, because their unique and who doesn't love that?! 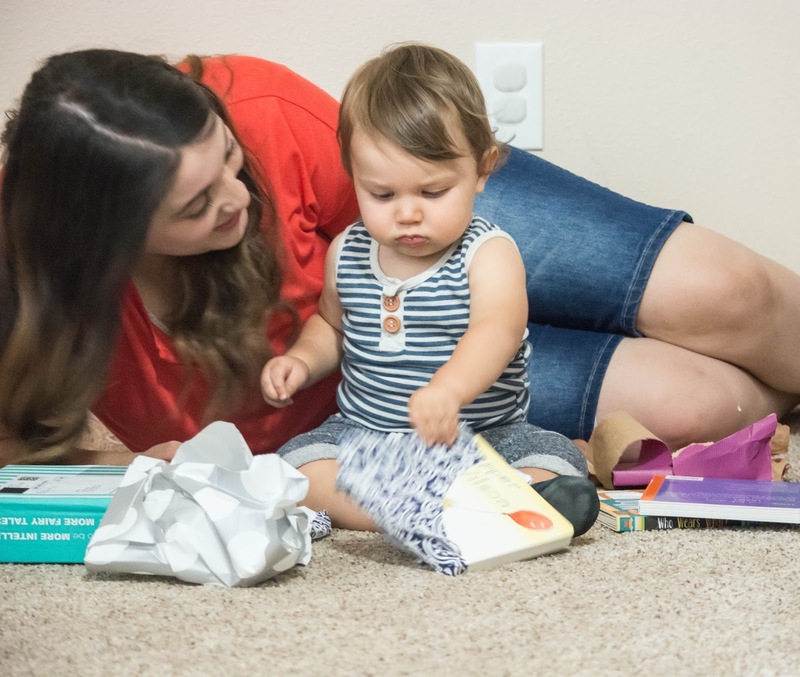 We both share the same mission and that is to build our book collection for our kids, that it's never early to start reading with them, and that reading can be fun; and of course that it be delivered to you and be inexpensive! Mason loved unwrapping each book because they were a present to him and unwrapping anything is always exciting! 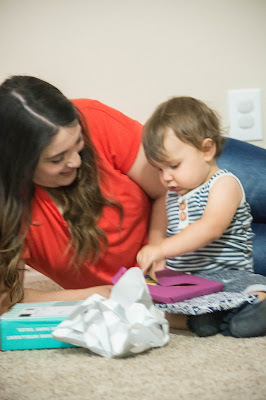 He instantly knew what it was and loved looking at each book! We immediately started peeping at each page and seeing the new characters, letters, and numbers we were about to dig our minds into! We got books with numbers, textures, and even little animal friends. 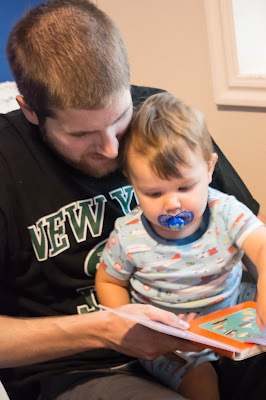 I think that out of all the books, the number book was his ultimate favorite because he loved lifting the flap. If your'e interested in subscribing and getting fun unique books, I highly recommend Bookroo, and don't forget to use code: "RICHES" to receive 15% off your order!